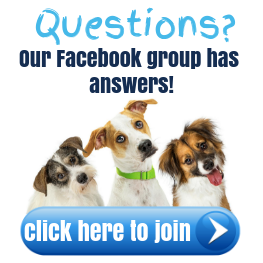 What Is the Difference Between Human and Canine Joint Supplements? If you’re a human who has arthritis, you may notice that the first ingredient in your joint supplement is glucosamine. And if you have a dog with arthritis, you might have seen that the first ingredient in their joint supplement is, also, glucosamine. So this begs the question – what’s the difference? 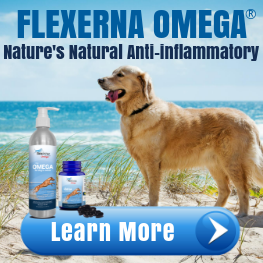 The short answer is that while the main ingredient of glucosamine may be the same in most human and canine joint supplements, there are major differences between the rest of the ingredients, as well as the digestibility, dosage, and composition. Glucosamine is a natural cartilage building block that, as humans and dogs age, is depleted by the body much faster than it can be produced. 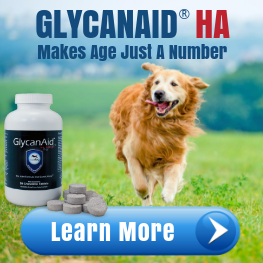 Both human and canine joint supplements containing glucosamine help replenish these depleting levels to provide relief from arthritis aches and pains. 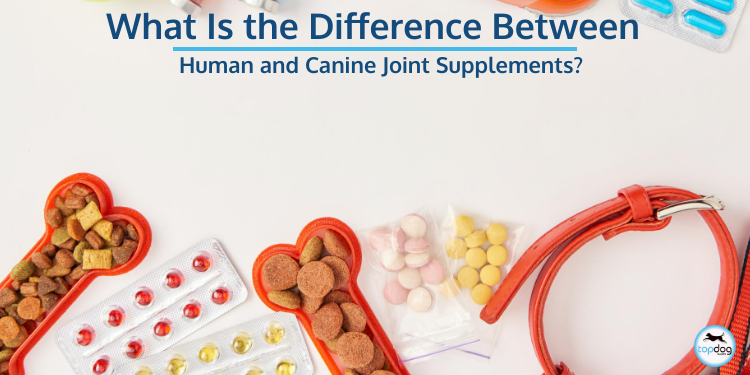 While you could technically give human glucosamine safely to your dog, it’s the rest of the ingredients in human joint supplements that need consideration. For example, human supplements can contain xylitol (a sweetener that is harmless to humans but deadly to dogs), or chocolate, which every good pet parent knows is a no-no. The only way to be sure a joint supplement doesn’t contain any ingredients that may harm your pup is to give them one specifically made for canines. Most human joint supplements consist of a pill you swallow, while dog supplements typically come in the form of a chewable tablet, soft chew, or liquid. This is no accident. Dogs have a shorter digestive system than we do, so the supplement needs to be broken down faster, before it leaves their body. Chewable tablets, soft chews, and liquids all break down quickly, allowing your pup to readily absorb the nutrients and reap the benefits. If you were to give a dog a human joint pill to swallow, chances are it would pass through their system before it could be absorbed. 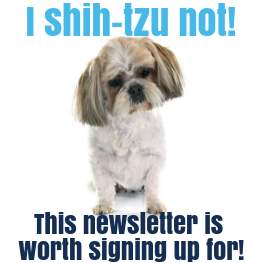 With human joint supplements, it can be difficult to know exactly how much to give to your dog. Quality canine supplements, however, include clear-cut instructions for how much to give your dog per day based on their weight. Plus, top notch canine supplements are fortified with other minerals that aid in relief from joint pain for your pup that wouldn’t necessarily be present in human supplements. 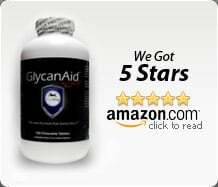 For example, TopDog’s GlycanAid contains ascorbic acid, which is essential for the absorption of glucosamine in your dog’s body, thereby upping the effectiveness of the other ingredients. So there you have it – if you want to ensure that your pup gets optimal relief from their joint pain that is both safe and effective, be sure to give them a joint supplement specifically made for canines.